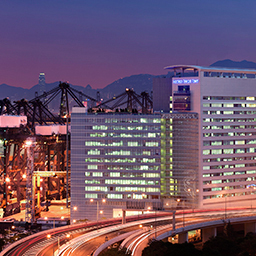 Hutchison Telecommunications Hong Kong Holdings Limited (HTHKH; stock code: 215) and its subsidiaries (together referred to as "the Group") is one of the leading telecommunications operators in Hong Kong and Macau, holding more than 30 years’ industry experience. In October 2017, the Group disposed of its fixed-line interests to focus on mobile business. Proceeds from the transaction enable HTHKH to continue investing in mobile, thereby reinforcing its industry leadership and ensuring a strong financial position. HGC Global Communications Limited is a key supplier of fixed-line services to HTHKH after the disposal of fixed-line interests. The two entities maintain a co-operative commercial relationship. HTHKH is listed on the Main Board of the Stock Exchange and features in various Hang Seng indexes such as the Composite Index, Composite Industry Index - Telecommunications, Composite LargeCap & MidCap Index, Composite MidCap Index, Composite MidCap & SmallCap Index, Corporate Sustainability Benchmark Index, SCHK HK Companies Index, SCHK ex-AH Companies Index, Stock Connect Hong Kong Index and Stock Connect Hong Kong MidCap & SmallCap Index.